Andy Warhol. 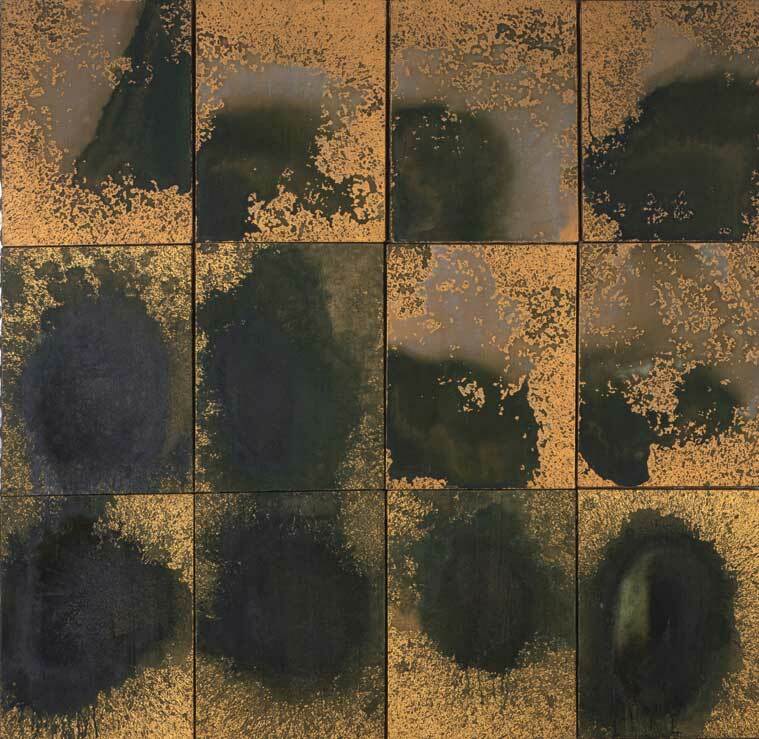 Oxidation Painting (in 12 parts), 1978. In the late 1970s, more than 10 years after he “retired” from painting, Andy Warhol got a yen to put paint on canvas again. This time, he didn’t use a brush. To create what were originally called the “Piss Paintings” and now are more formally entitled the Oxidation Paintings, Warhol and his studio assistant Ronnie Cutrone coated canvases with copper-infused paint and then urinated on them. The catalytic reaction of urine and metallic paints created a range of brilliant golds and acidic greens that glow against the textured surfaces. The paintings are generally considered to be a kind of parody of Jackson Pollock’s drip paintings, which took the art world by storm in the 1950s, when Warhol was beginning his career. Most of the Oxidation Paintings don’t actually bear the “hand” of the master – Warhol invited employees, friends and hangers-on to pee on canvas, and studio legend has it that Cutrone’s urine was especially prized because he was taking large quantities of B vitamins, which produced especially vivid colors. Examples of the Oxidation Paintings can be seen at the Brooklyn Museum of Art and Pittsurgh’s Warhol Museum. This entry was posted in The Art of Science and tagged Andy Warhol, Copper and Urine, Oxidation Paintings, Urine Art. Bookmark the permalink.